Click this button or go to smile.amazon.com and search for Essential Theatre Inc (Atlanta, GA) — there are two Essential Theatres registered for Amazon Smile, but we’re the only one in Georgia. AmazonSmile is a simple and automatic way for you to support your favorite charitable organization every time you shop, at no cost to you. When you shop at smile.amazon.com, you’ll find the exact same low prices, vast selection and convenient shopping experience as Amazon.com, with the added bonus that Amazon will donate a portion of the purchase price to your favorite charitable organization. You use the same account on Amazon.com and AmazonSmile. 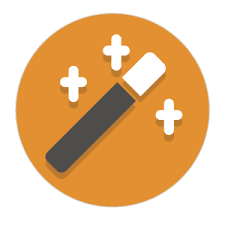 On your first visit to AmazonSmile (smile.amazon.com), you will select a charitable organization (that’s us!) to receive donations from eligible purchases before you begin shopping. AmazonSmile will remember your selection, and then every eligible purchase you make at smile.amazon.com will result in a donation. It’s that easy! Did you know you can support Essential Theatre every time you buy groceries? 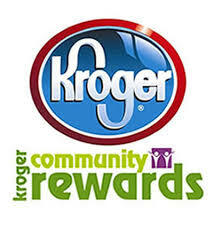 Visit KrogerCommunityRewards.com and create an account, and for every dollar you spend at a Kroger grocery store, a donation will be made to Essential. free rehearsal space (evenings and weekends, June-August and occasionally throughout the year). Does your workplace have a conference room or classroom you don’t use outside of business hours? That’s all we need to rehearse our shows! free or inexpensive copying and printing services. Our playbill printing is subsidized by Atlanta Booklet Printing Company, for which we are so thankful! But we have a host of other printing needs, from posters and vinyl outdoor signage to scripts, post cards, color flyers and lobby displays. We always need shop and indoor storage space for building our set pieces in July of each year, and free or inexpensive set materials (paint, wood, fabric and other building materials) are also appreciated around that time. And, of course, monetary donations are always welcome! As ticket prices cover only a fraction of our production costs, we appreciate and need our donors. Essential Theatre is a 501(c)(3) non-profit organization, so your donations are tax deductible. Please help us to support new work by Georgia Playwrights! Make a donation or become a sponsor today! Passionate about our mission? Excited by our work? Looking for even more ways to join the Essential tradition? 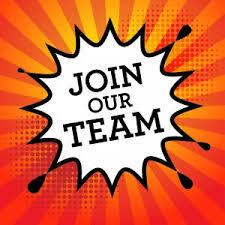 Check out these ways you can join our team! For more information and the latest updates, join our newsletter by entering your email address at the bottom of the page or follow us on Facebook or Twitter.